We all want to effectively convey our ideas. This can be a thought you want to express to others, a proposal you want to share with a future client, a story you want others to understand, or a design you want to show off to others in remote locations. We want to have the ability to share our knowledge with others no matter where they are or what topic it is. You’ve tried conference calls, presentations, and written documents, but how about making a video? Creating videos is not only easy, but is a great way to help your audience and your business grow. HOW CAN VIDEO DO THAT? -Training: Imagine a situation where you have hired more than 300 employees to your businesses in multiple regions. These people need to understand the beliefs of your company, safety practices, and other information that is vital to your business all at once. They can’t wait for a person to get to them individually or even to teach them in groups A video can easily do this for you. Recording a video that explains critical concepts and uploading it onto YouTube will allow each location of your business to access this video and show it to your new employees. -Promoting: Your business is important to you and you want everyone to know who you are. Creating a video and posting it on your website will give your future clients a brief idea of what your business is and who you and your team are. We sometimes get lazy when it comes to reading, so videos can lead us to start reading more about any kind of subject, especially a business. Keep in mind, these videos should be only about a minute long, and be possible to edit down to a 30-second promotional video as well. -Targeting: In business, it’s important to know who your audience is and whether you can expand it, or if you need to narrow the target viewers. Videos allow you to broaden your reach into other categories of your business and can be explained through video genres such as how-to, informative, interview, podcast, and many more. The more fun you have creating these videos and conveying your ideas, the more interesting and entertaining it is for the viewers. -Services: Whether you are promoting a limited time offer or all your services to your clients, you want to get the word out of what you have to offer. Posting a 15 to a 30-second video can announce these services, making your audience more interested in what you have to offer. Remember, visually seeing something allows us to understand concepts more clearly. -Make Connections: Have a close partnership/friendship with another company or want to reach out to other business to collaborate ideas? Videos give you the options of recording a podcast or an interview that you can share and educate others about a certain subject. -Boost Creative in the Workplace: Want to express an idea to your team or to your client, but can’t find the words to make them understand? Try creating an illustration or whiteboard video. Visual drawings/assets help viewers remember ideas. A lot of people believe that good videos come with the equipment, but you can always have a bad video even with the most expensive type of equipment if the idea isn’t conveyed effectively. These will bring all your components together. In some cases, you can even use your phone, but every video will require a different setup to record the best quality. The most important thing to remember is to plan your idea and have fun recording. 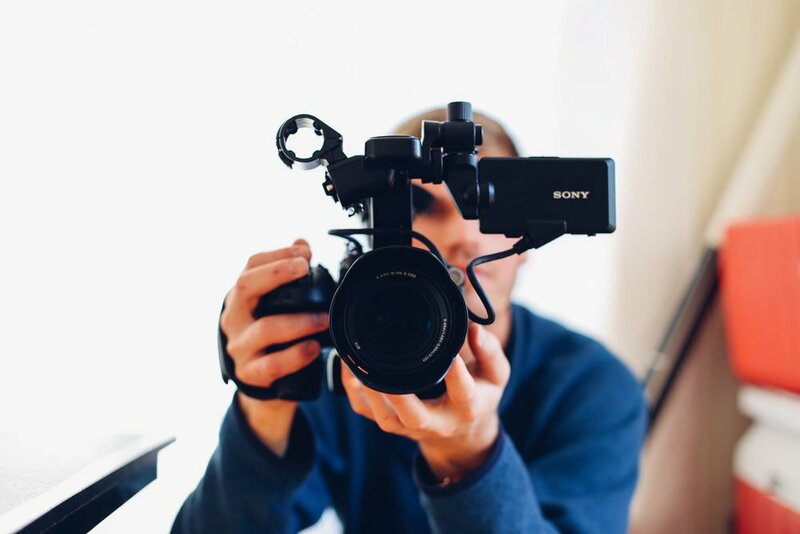 Your video will tell a lot about your business, so you want the world to see you and your business as a strong, knowledgeable environment that is willing to work for its purpose. We at Return Leverage are excited to become part of the video world and share our ideas, beliefs, and creations with you. We would love to hear from you, too. Come check out our YouTube channel and subscribe for future videos.